Over the past nine years, The Build-A-Bear Workshop Huggable Heroes program has found some impressive kids. The 400-store chain, which sells make-your-own stuffed animals, holds an annual search for young people, ages 8 to 18, who are trying to make the world a better place. This year, to mark the 10th anniversary, they are on the look out for 10 budding philanthropists. Nominations are now open until Feb. 28. Visit the web site or pick up a form at Build-A-Bear stores in Canada, the U.S. and Puerto Rico. According to figures from The Build-A-Bear Workshop, more than 100 Huggable Heroes honoured since the program launch in 2004 have collectively raised more than $9.4 million, collected more than 316 million items to donate and recruited thousands of volunteers to help with their various causes. Build-A-Bear Workshop headquarters in St. Louis, Missouri, where they will be feted, and partake in other related activities. The mentorship is through the prestigious Jefferson Awards For Public Service, founded 40 years ago by Jacqueline Kennedy Onassis, Senator Robert Taft, Jr. and Sam Beard, as a Nobel Prize for community and public service. Each of the 2013 Huggable Heroes will be paired with a mentor for a year through the non-profit organization’s Globechangers program that will help them acquire and develop skills such as writing business plans, networking and fundraising. Entries will be narrowed down to 80 semifinalists in March and 30 finalists in May. 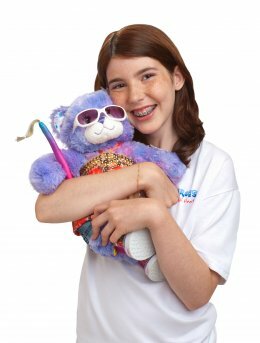 On June 6, the 10 Build-A-Bear Workshop Huggable Heroes for 2013 will be named.